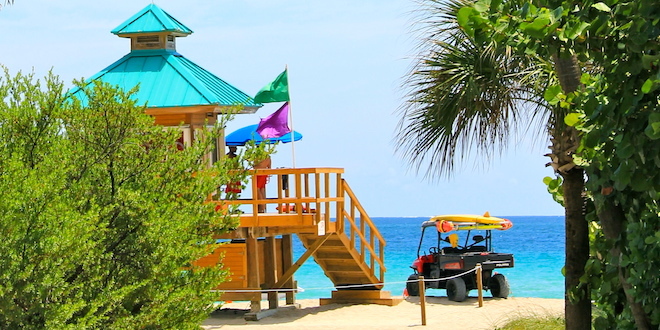 The City of Sunny Isles Beach utilizes a uniform flag warning system to alert the public of potential safety risks. These colored flags indicate the nature of the threat and the action officials advise beachgoers to take. The system is consistent throughout the state of Florida. Flags are color-coded rather than printed with written messages so that they can be seen from a distance and understood by tourists who do not speak English. Each day, City of Sunny Isles Beach Ocean Rescue lifeguards post these flags on lifeguard towers to alert patrons of surf conditions and dangerous marine life. Ocean Rescue lifeguards also update the Current Beach Conditions webpage and record a message on our Beach Conditions Phone Line: 305.792.1940 each day. 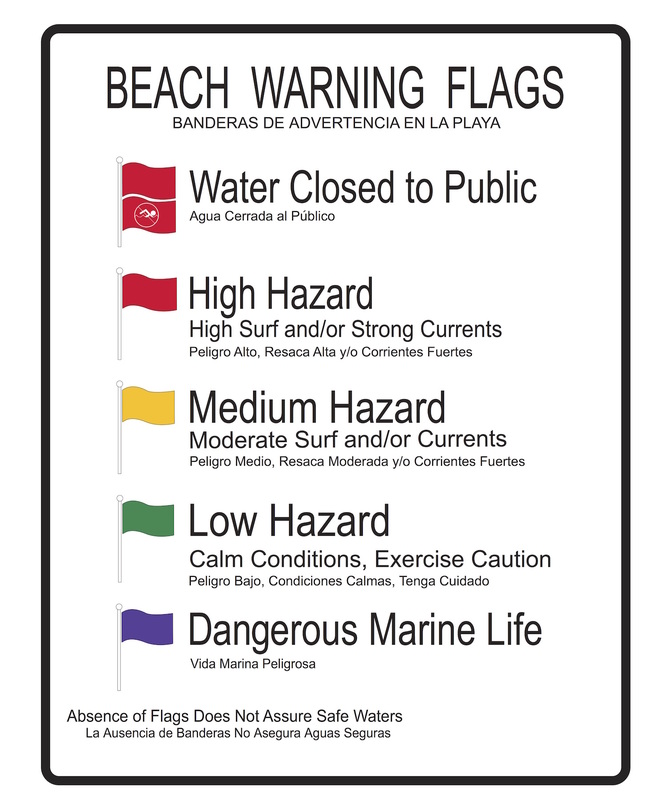 Green Flag – Low hazard with possibility of larger waves and rip currents. Exercise normal care. 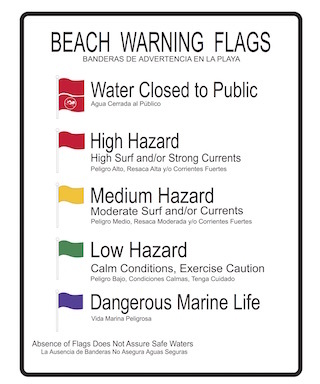 Yellow Flag – Medium hazard with moderate rip currents/surf conditions. Use extra care. Red Flag – High hazard with dangeorus rip currents/surf conditions. Avoid entering the water. Double-Red Flag – Water and/or beach closed to the public. Purple Flag – Dangerous marine life present (jellyfish, man-o-wars, and/or sea lice). This flag may accompany any of the other flags. Daylight Savings Time: 9:30 a.m. – 6:00 p.m.
Standard Time: 9:00 a.m. – 5:30 p.m. Remember to always swim near a lifeguard!